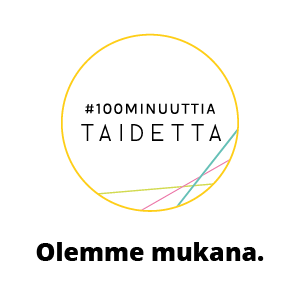 Taikusydän-tutkijaverkosto kokoontui tammikuussa viidentoista tutkijan voimin Sibelius-Akatemialla Helsingissä. Tapaamisen aikana keskusteltiin mm. kulttuurihyvinvoinnin alan tutkimuksissa käytetyistä keskeisistä käsitteistä sekä niistä haasteista, jotka liittyvät käsitteiden käyttöön monitieteisellä alalla. Taikusydän-tutkijaverkosto on mukana kansainvälisessa tutkijaverkostotoiminnassa ja tammikuun tapaamisesta on kirjoitettu kansainvälisen nuorten tutkijoiden Arts Health Early Career Research Networkin blogiin. Jutun voit lukea myös alta. 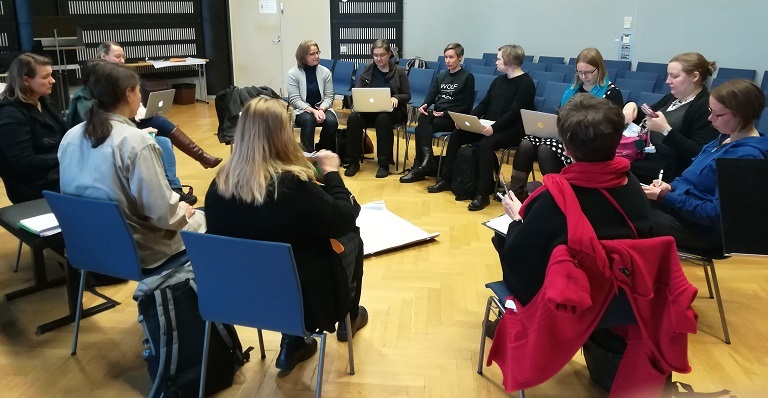 The multidisciplinary Finnish Arts & Health research network gathered for a research seminar in Helsinki on January 18th. Fifteen researchers from five universities as well as other research institutions across the country attended the seminar. Researchers from various disciplines, among others art education, art history, cultural policy, gender studies, media studies, ethnomusicology, music therapy and literature, participated the event, discussing ongoing research projects and attending workshops. Many of the researchers taking part are considered early career researchers, with less than eight years since completing their PhD, but the seminar was open to researchers at any stage of their career. The meeting entailed two workshop sessions. During the morning session, the researchers discussed the key concepts in their research projects. To facilitate the discussion we read two chapters of Mieke Bal’s book Travelling Concepts in the Humanities. A Rough Guide prior to the meeting. Bal’s text was chosen to provide additional tools to discuss concepts in such an interdisciplinary group. Researchers had also submitted in advance a paper of 500 words reflecting the theoretical foundations of the key concepts in their research and the potential challenges that are inherent in the use of these particular concepts. The workshop discussions highlighted once more the conceptual diversity in arts and health research as well as the lack of common conceptual understandings. From the point of view of different disciplines, concepts are defined in different ways and they carry along different theories. Overlap of concepts may lead to their confused and vague use in interdisciplinary work. As the arts and health research projects are not often easily placed within any one discipline, and the concepts are far from fixed or unambiguous, scrutinizing the concepts critically and being careful in the ways we use them was considered crucial. During the afternoon session researchers discussed six papers including four article manuscripts and two research plans. Researchers participating in the seminar have several highly interesting research projects under way. Research projects cover a diverse range of subjects and approaches, using different research designs and drawing on different theoretical, ontological and epistemological premises. For example, in the Theatre as a Tool to Recovery (THEATRE) project the possibilities of applied theatre and drama in the context of social-psychiatric rehabilitation and enhancement of housing services are examined. In the project, applied theatre is used to distil research results, create awareness in regard to the problems related to home, housing and mental distress, and engage the audience in solving them. The research project Constructing Good Death studies the politics of representations of dying, end-of-life issues and hospice care in the Western documentary films. The aim is to discuss our cultural expectations for dying processes, end-of-life care and their mediation in the Western societies. Other research topics include e.g. 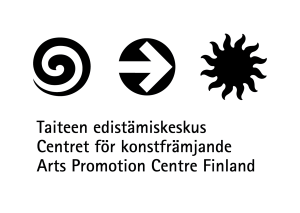 the development of arts-based elderly care in the context of wellbeing and culture in Finland, the question of interpretations and practices of accessibility at the intersections of art and care, and music therapy in brain rehabilitation. 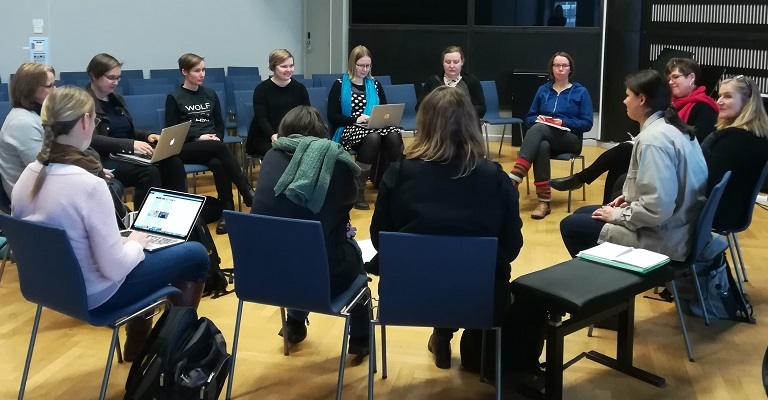 The Finnish Arts & Health research network was founded as part of Taikusydän initiative during the spring term 2016, and this was our fifth networking event. LINK events are organized biannually. The next LINK event will be held in November 2018 in Turku, a beautiful old city on the southwest coast of Finland. Details on the upcoming LINK event will be updated on Arts Health ECRN website. We warmly welcome all Arts Health ECRN researchers to join the event!